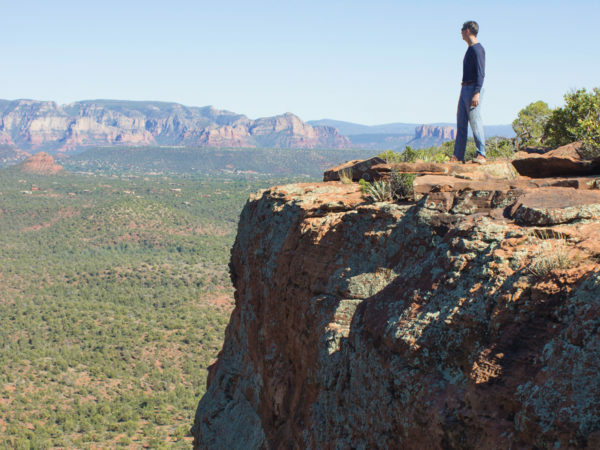 ★★★☆☆ Easy / Sedona Skimming the base of a tall, horseshoe shaped butte, the Mescal Hiking Trail serves up choice Sedona views. Look closely and you might catch a glimpse of ancient Native American life in the pockmarked cliffs. ★★★★☆ Mostly Easy / Prescott Explore rolling Granite Dells, hidden coves and a waterfall on this stunning loop hike. 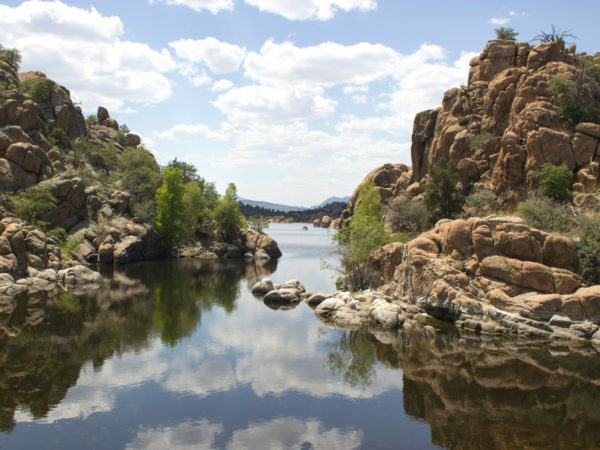 The Watson Lake Loop Trails circle Prescott’s largest lake on a series of mile-long sections. Each portion surprises with a totally unique character. ★★★★☆ Moderate / Flagstaff Area: Black “sand” and killer views of the Painted Desert rock this exotic hike. 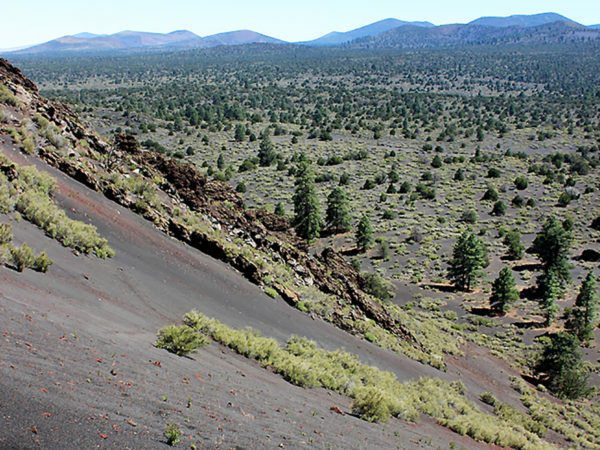 Looping around an ancient volcanic cinder cone, the little-known but highly recommended Strawberry Hiking Trail crosses hills of granular black lava, frozen volcanic formations and stunning fields of flowers tucked in between. 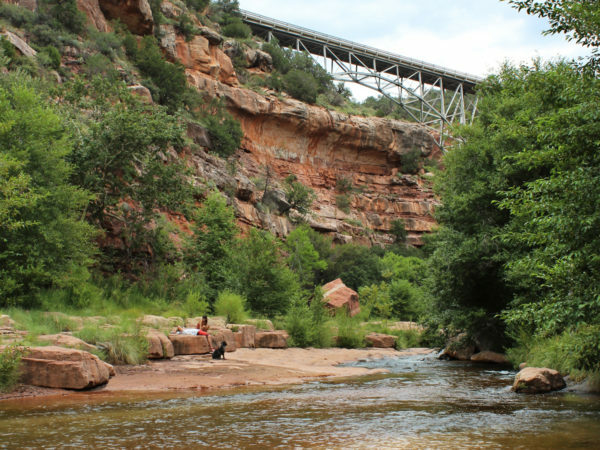 ★★★★☆ Moderate / Sedona Experience Oak Creek, up close and personal, on this creekside hike! Paralleling Sedona’s cool waterway, the Huckaby Hiking Trail traverses red rock ridges and treelined riverbanks. Boulder lined swim holes make the northern end perfect for hanging out. 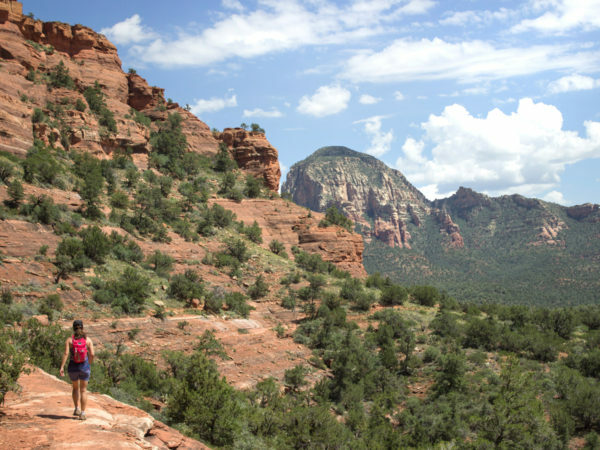 ★★★★☆ Moderate / Sedona Explore the top of a stunning red rock mesa on this short Sedona hike! The Doe Mountain Hiking Trail switchbacks up the side of an ancient butte to an easy-to-explore, football-field-sized platform. Circling the rim, awesome views of Sedona span for miles. 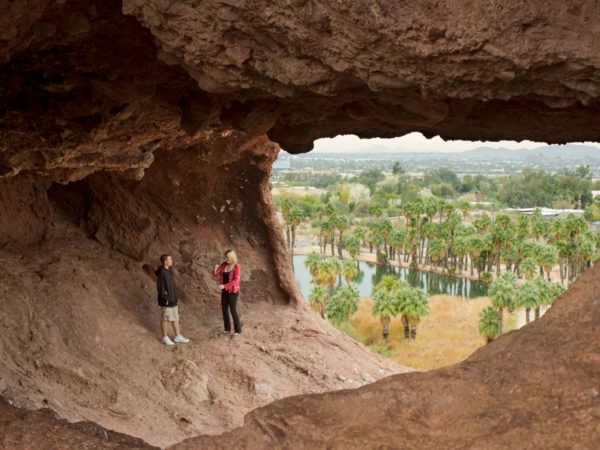 ★★★☆☆ Easy / Phoenix This super-short hike to a huge hole, in a huge rock, is perfect family fun! At just over one quarter mile long, the Hole in the Rock Hiking Trail Loop is both easy and surprisingly scenic. For a full day of fun, add time at the Phoenix Zoo, located literally right next door. 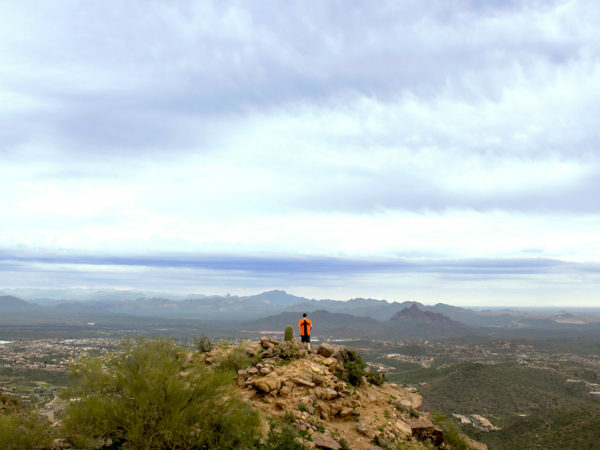 ★★★★☆ Moderate / Phoenix Area Fantabulous 360° views await at the top of this lofty peak! Tucked into a beautiful McDowell Mountain valley, the Sunrise Hiking Trail gets less traffic than it’s northern sister-trails. And the radical views at the top make the trek up totally worthwhile. 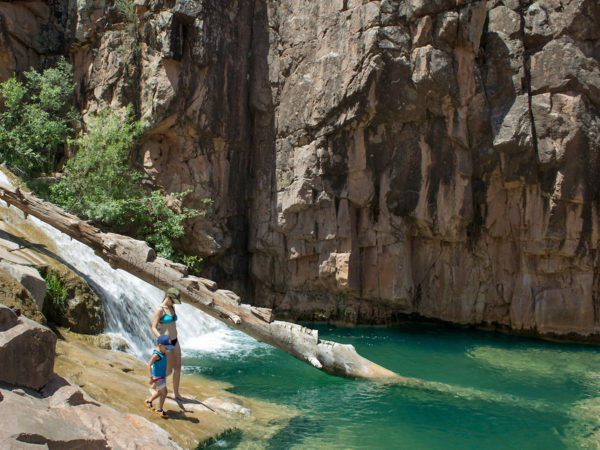 ★★★☆☆ Easy / Phoenix Area Enjoy a scenic stroll around Lake Pleasant’s intimate coves on the Wild Burro Hiking Trail. 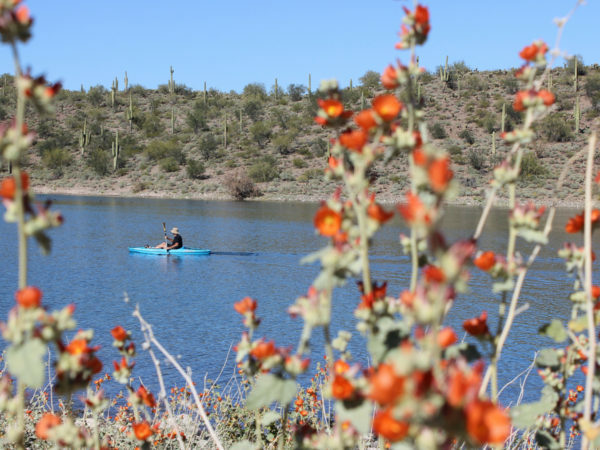 Hugging the shores of this bright blue, North Phoenix lake, this trail teems with wildflowers in Spring. Year round, it sparkles with enticing views of kayaks & sailboats frolicking on the water, and the possibility of a wild burro sighting. ★★★★☆ Moderate / Phoenix Area Cowabunga! “Surf” a huge stone wave near the top of this Superstition Mountain. 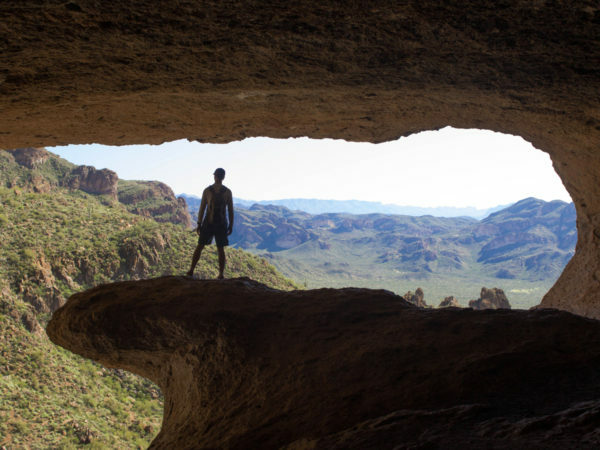 The short Wave Cave Hiking Trail leads to a gapping cavern, rimmed with an oversized wave-like formation.